Unconventional shopping is St Kilda’s forte, which explains the eclectic array of vintage stores and markets scattered across the precinct. Locals are big fans on getting their hands on unique pieces of art, knick knacks or street food from all corners of the globe. 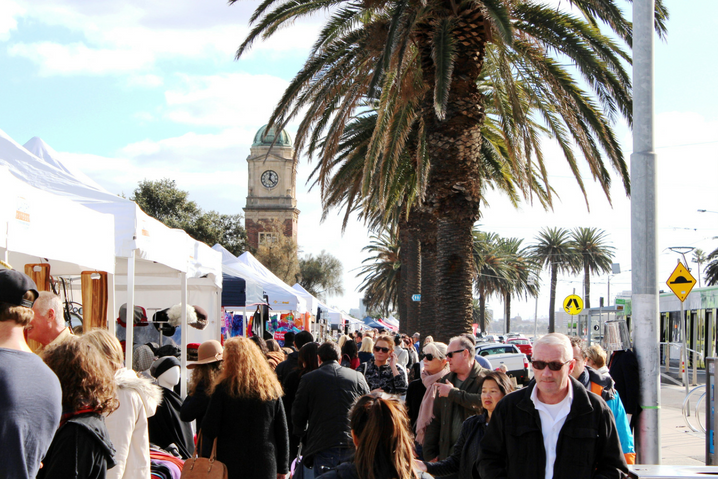 Whether it’s a Sunday morning, a Saturday lunch or a twilight wander, it’s always time to go to market in St Kilda. The St Kilda Esplanade Market is one of St Kilda’s, and Melbourne’s, most celebrated markets. Stretching from the Luna Park ‘big mouth’ and all the way down the Esplanade, its location among the beach and the palm trees is unique and picturesque. The market started out as a mobile art exhibition and has now grown to include special creations of all types – from sauces and jams, to paintings and drawings, to homemade clocks and cushions. 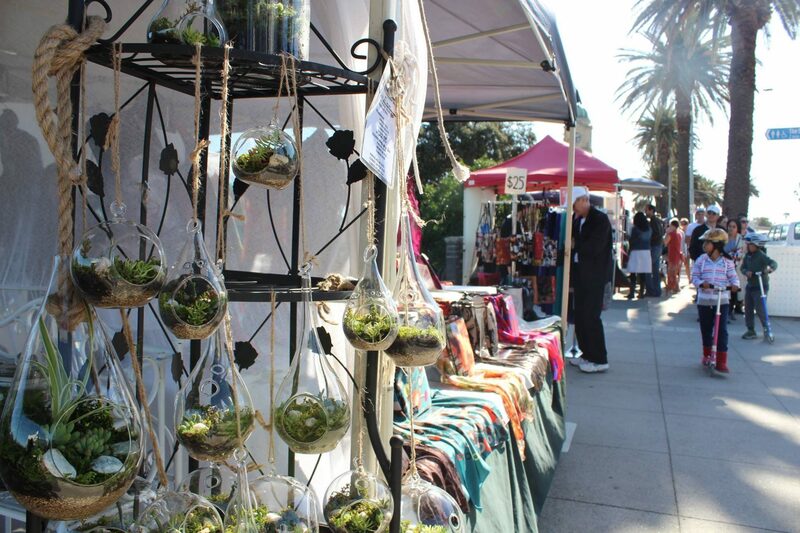 From October to April the market will be open on the Esplanade every Sunday from 10am to 5pm, and 10am to 4pm from May to September. See what all the fuss is about after a Sunday brunch and perhaps pick up the perfect addition to your home. During the summer months, the balmy twilight hours aren’t wasted in St Kilda. For years, the St Kilda Twilight Market has been bringing people together mid-week for some after work shopping, food and drinks. 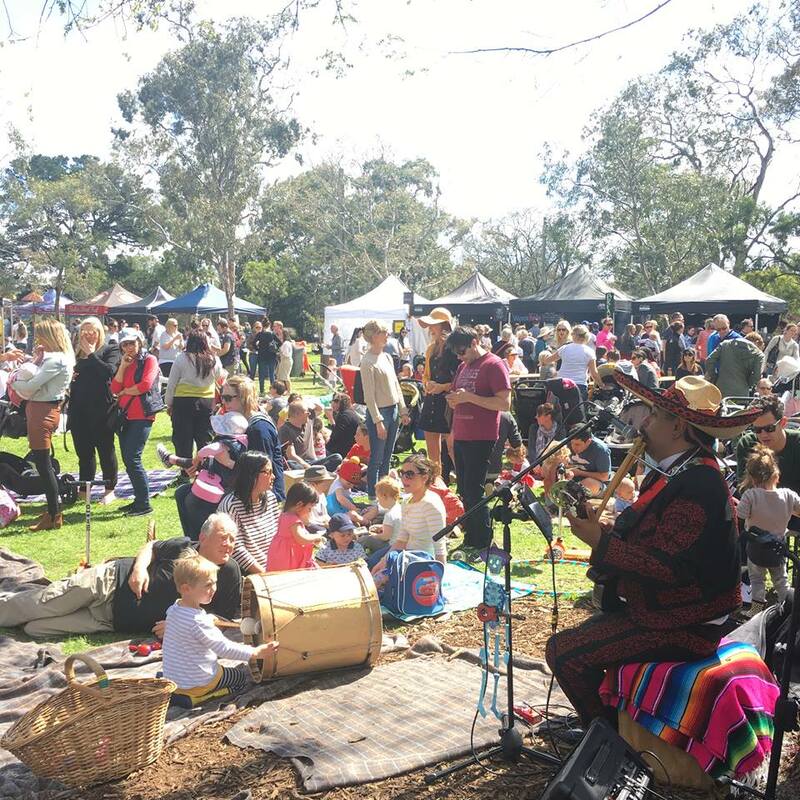 Located in O’Donnell Gardens, the markets host a vibrant bunch of stalls selling all sorts of bits and pieces, particularly vintage frocks and scrumptious street food. 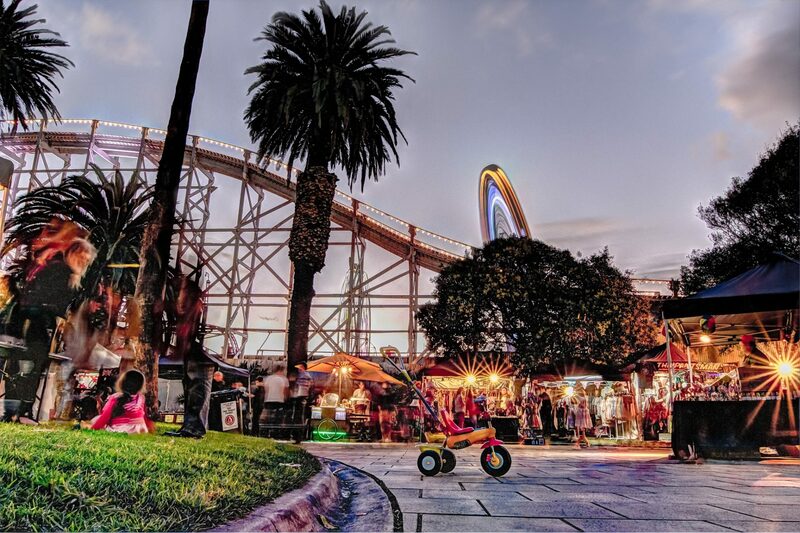 The St Kilda Twilight Market will hit O’Donnell Gardens every Thursday in summer, with the stars, the sea breeze and the vibrant Luna Park providing the perfect backdrop. This is what summer is all about. 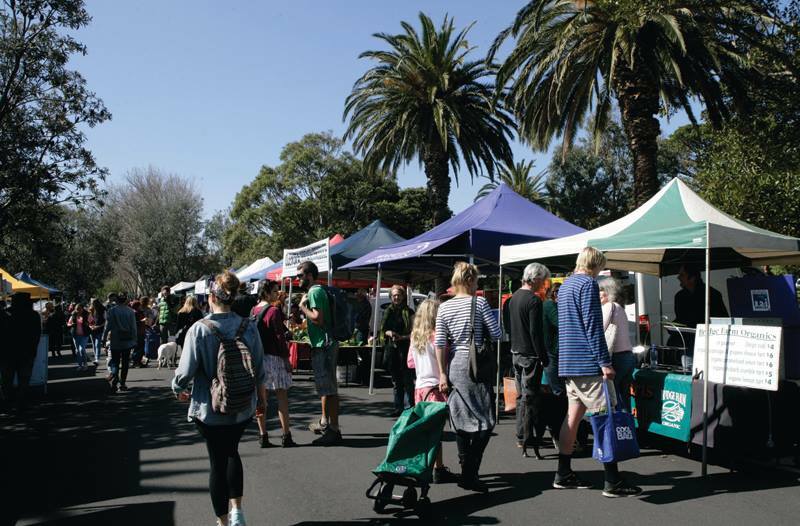 The Veg Out Farmers Market is the place to go for fresh, seasonal produce in St Kilda. Award winning farmers from across the state converge on Peanut Farm Reserve to meet the locals and supply them with an array of fruits, veggies, sauces, spices, meats and dairy products, breads and pastas, cheeses, oils and much more. It brings a slice of rural life to the city and provides a great opportunity to chat to these farmers and support local business while filling up your pantry with the best quality produce. Join the fun on the first Saturday of the month from 8:30am to 1pm at Peanut Farm Reserve. Hank Marvin Market is relatively new on the scene but is becoming a popular celebration of Melbourne foodie culture. The weekly street food market provides punters with all sorts of goodies, from granola to paleo burgers hailing from everywhere from Jamaica to Japan. There’s lots for the kids and the doggos to enjoy as well, with the market featuring a pop up mess hall and even a Canine Wellness Kitchen. Head down to Alma Park every Saturday from 9am to 3pm and bring some mates. Heading to market is everyone’s favourite pastime, especially in Melbourne where we are so spoilt for choice. This summer is the perfect time to spend a weekend or a weeknight exploring the markets and supporting local producers and creators.